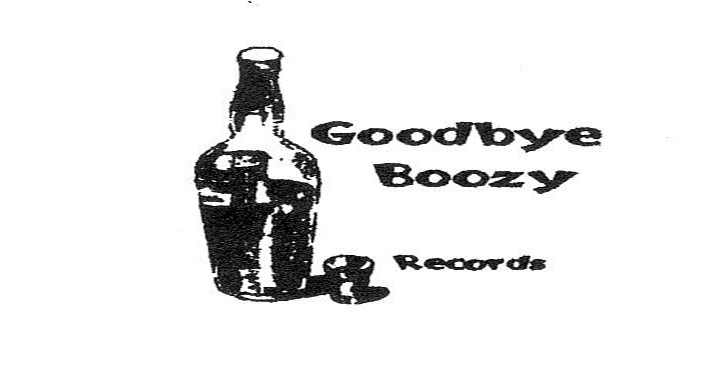 Goodbye Boozy Records: GB02: Los Huevos - "Manlove"
GB02: Los Huevos - "Manlove"
I got an email from a guy asking if I had any copies of this 7" available and, if not, than perhaps I could send him an MP3 of it. I learned my lessons in school, if I am gonna give one person an MP3, I better share it with the class.So here you are. These two songs came from Los Huevos' last recording session. It was done in The Loft by Chris Woodhouse on a 4-track cassette recorder. Woodhouse was also playing drums. With Jason Patrone, Woodhouse was the last (and best) Los Huevos rhythm section. 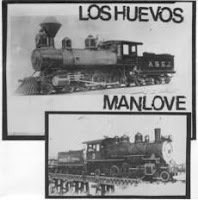 These guys were a machine and after Los Huevos died, they were the foundation of the Pretty Girls.Manlove is an original. It is about a light rail stop in suburban Sacramento, called Manlove. It is also about street hustlers turning tricks on public transit (Gonna buy a ticket/Gotta buy a trick/at Manlove). We ripped off Hubble Bubble and the Gang of Four for this one.The flip is a cover of a song by Crime. Los Huevos had a rule that if we covered a song, we had to make it ours, for better or worse. I think we did that for the better on this one. The song Maserati is great, one of Crime's best. Unfortunately they recorded it when they were in their "new wave" phase and so it never got the Crime sound that made them legendary. It originally came out on B-Square records in 1980. The flip is a song called Gangster Funk.